Custom Capabilities Fiberinthebox has built its reputation as a leading supplier of high integrity optical communication products assemblies by sourcing only the highest quality products as well as being committed to our customers' needs. For the most challenging optical communication situations, we provide customized solutions for all needs and specifications. 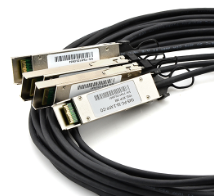 From Fiber Patch Cables and Connectors to transceiver and CWDM/DWDM, Fiberinthebox can work with your preexisting designs as an outsourced manufacturing partner or assist you in rapidly achieving tailored answers for demanding optical fiber communication products. All in all, about eighty percent of the varieties on our website can be custom made. Let Fiberinthebox be your custom fiber optic solution. Fiberinthebox provides optical and electronic engineering services. We welcome any inquiry for customized optical and electronic solutions for optical communication industry, including rugged fiber optic components for the commercial and aerospace, military, and industrial markets or where data communication and sensing is required over fiber optic networking in harsh environments. Our primary corporate capabilities include software engineering, systems engineering, network engineering, systems support, program management, and information assurance engineering and analysis. We have built strong industrial relationships based upon our ability to provide high quality engineering services, and to always strive to be a fair and responsive partner. We also supply custom transceivers in other specifications, you can see details in the following table. If you have any other special requirement, pls contact us directly. Using CAD drawings and rapid prototyping to help determine customers' specific application requirements, Fiberinthebox provide a consultative approach to engineering custom cables. What's more, all custom cables are backed by a lifetime guarantee against defects in workmanship. Any Type. Any Length. Any Color! All Custom & OEM quote are returned to the customer within one business day. Quick transition manufacturing to high-production facility in China to help customers get economies of scale while still maintaining critical timelines. Quick engineering and prototyping services. Production and kitting of value-added cable assemblies that include PCBs, housing, or metal fabrication. 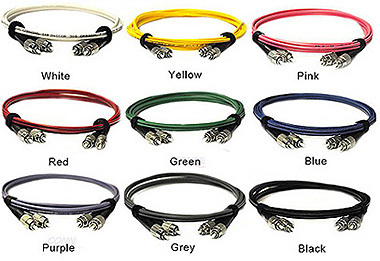 Custom Color MMF or SMF cables, Available colors: Red, Gray, Blue, White, Black, Green, Yellow, Pink and purple. We provide whole series of 1xN and 2xN (N = can be from 1... 64) PLC splitter products that are tailored for specific applications. We offer both custom design and cost-effective manufacturing techniques (whether domestic short-run or off-shore large volume production) to ensure you get the right solution right on time. Different package and logo can follow client’s different inquiry. You can check the following specifications of custom PLC Splitter. If you have any other special requirement, pls contact us directly. We also can combine two or three or others PLC Splitter modules into one Rack Mount box. We supply fiber optic cables and assemblies with glass, plastic and quartz fibers. We offer a wide variety of sheathing options, with standard or custom end fittings for your application and operating environment. We partner with our OEM customers in the design, material selection and manufacturing for high temperature or other environmental needs. All our OEM fiber optic cables are manufactured and monitored to ensure compliance with our client’s predefined specifications. You can see the specifications of custom fiber optic cables in the following table. If you have any other special requirement, pls contact us directly. Our subsidiary factory is in Shenzhen City, southern China, near HongKong, providing fast access to freight forwarders. Our customers also can come to visit us conveniently. We are pleasure to invite customers to visit our company. Our facility has its own unique capabilities and they provide a complete solution to support our diverse portfolio of OEM and custom CWDM & DEMUX MUX/DEMUX customers. We provide CWDM module and DWDM module devices with various kinds of connectors and cable length and optional stainless tube package or standard box package and to meet your requirement. We offer 1x2, 1x4, 1x8 ..... channels. Our CWDM module and DWDM module devices are configured by number of channels for any customer-specify channel plan, and can be integrated with taps and detectors for a complete WDM solution. a. Email (service@fiberinthebox.com) us a rough sketch to a detailed drawing. Thank you for giving us the opportunity to earn your business. All custom products are guaranteed against manufacturing defect; however, please keep in mind all custom assemblies are non-cancelable and non-returnable once production begins. All of our optics come with a lifetime warranty.